Whether you are looking for a grain-free alternative, or need a specially-formulated food for specific dietary needs, we have you covered. We carry Merrick, Natural Balance, Blue Buffalo, Science Diet and more. 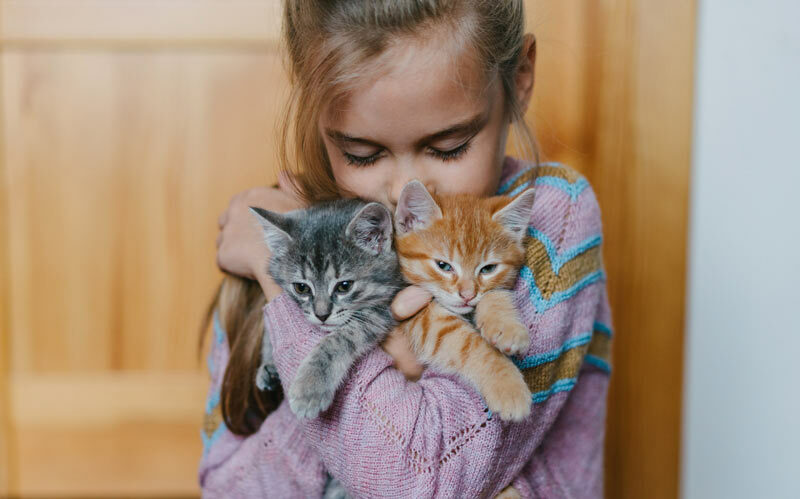 Our knowledgeable staff can answer any questions you have to help you make the best choice for your cat’s health. Don’t forget about cat treats too! 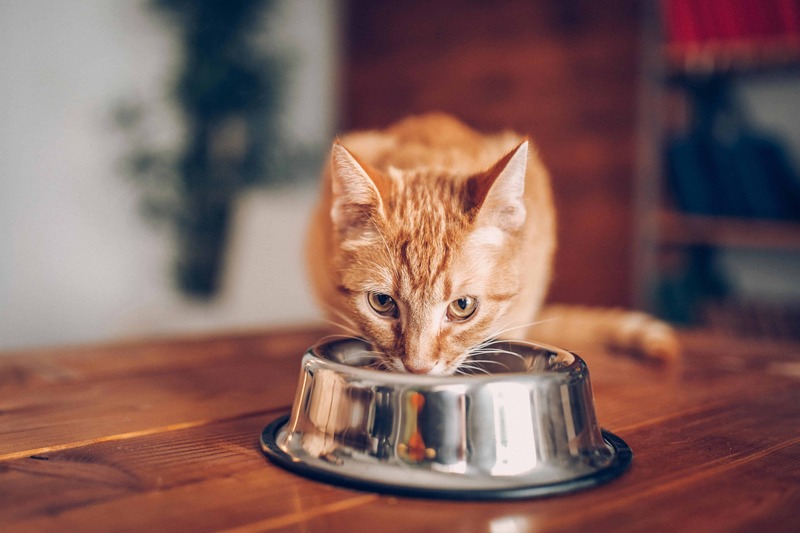 We offer cat supplements, vitamins, and probiotics to keep your cat’s health at its best. We also carry cat-friendly grooming tools including eliminating combs to help reduce shedding, dry shampoos to keep their coats clean and shiny, and easy-to-use nail clippers. 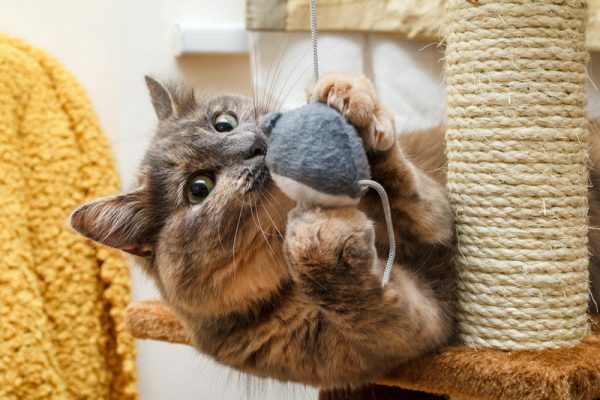 Cat toys are great for indoor and outdoor cats, and playtime is essential to the health and happiness of cats and kittens. Besides being a lot of fun for both pet and parent, the best cat toys encourage bonding time between you and your cat. With our selection of catnip toys, remote control toys, teasers, and stuffed cat toys you’re sure to find the perfect fit and hours of fun and games, whether they are swatting, running, or pouncing. 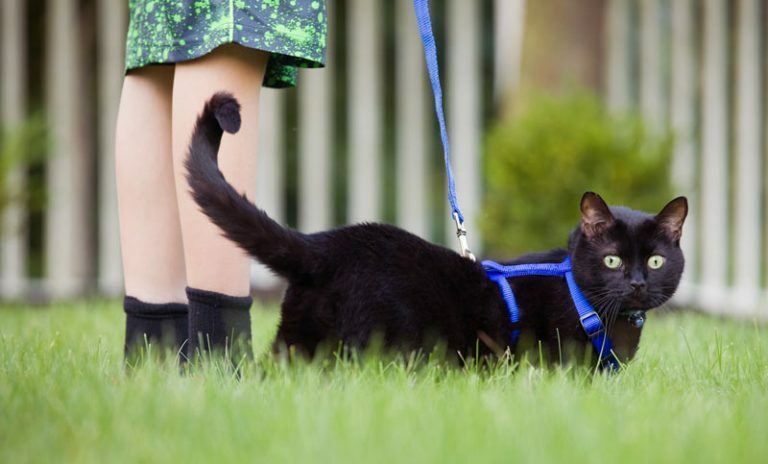 Cat collars, harnesses and leashes are a simple way to keep your cat safe and secure. A collar and identification tag is the easiest way to make sure your cat finds a way back to you should they get lost. We carry standard collars, and safety break-away styles as well. Come explore our selection in a variety of sizes and colors to suit your cat perfectly.